What In The Hell Is An Alawite? Every time Syria is mentioned in the news, they mention that its president, Bashar Assad, is an Alawite, but they never seem to elaborate on what that means or why it’s important. 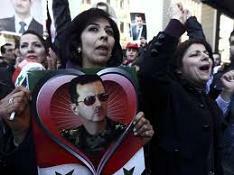 Most of Syria is comprised of Sunni Muslims, but about 12 to 15% of the population is comprised of Alawites. They are nominally considered Shiite Muslims, but they have some differing beliefs that cause many Sunnis, and even other Shiites, to consider them heretics. For example, they celebrate some Christian and some ancient Persian holidays. They consider Socrates and Plato in their line of prophets, and they believe in the transmigration of souls. People who reject the divinity of Ali, the cousin and son-in-law of Muhammad, are reincarnated as animals. Many also consider Jihad a pillar of their faith. The Alawites are predominantly rural, and because the more urban and prosperous Sunnis didn’t want to serve in the armed forces, the Alawites went there in droves. They eventually came to dominate, and in 1970 the current president’s father, Hafez Assad, staged a coup and installed many Alawites in positions of power. Now, the U.S., NATO, and even Sunni Muslim countries are supporting the terrorists who oppose Assad, and foreign fighters are pouring into the country. Considering the weight of the opposition, it’s hard to imagine Assad hanging on, but many Alawites are afraid if he’s toppled, the Sunni majority may try to destroy them. Once again in our global march to make the world safe for theocracy, we’ll aid and abet genocide. That’ll do, government. That’ll do.